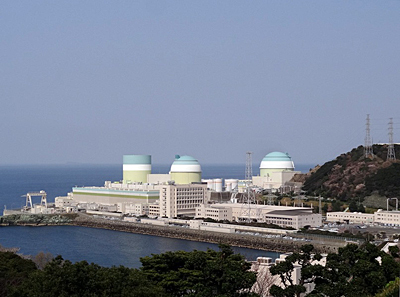 Unit 1 of Shikoku Electric Power Company's Ikata nuclear power plant in Japan's Ehime prefecture will be decommissioned, the company has announced. Meanwhile, the utility has requested pre-operational inspections at Ikata 3 ahead of its planned restart. Shikoku's board of directors made the decision to decommission Ikata 1 at a meeting on 25 March. The company said it has informed the Ministry of Economy, Trade and Industry, the governor of Ehime prefecture and the mayor of Ikata city of its decision. Ikata 1 - a 538 MWe (net) pressurized water reactor - began commercial operation in September 1977. It has been offline since September 2011 for periodic inspections. The reactor was due to end its 40-year operating period in September 2017 and could have applied to the Nuclear Regulation Authority (NRA) to extend its licence for a further 20 years. According to a report from Jiji Press, safety measures costing more than JPY 170 billion ($1.5 billion) would have been needed at Ikata 1 in order for it to operate beyond 40 years. Shikoku said it had taken into account the "accounting-related system to smoothly proceed with decommissioning" introduced in March 2015 when making its decision to decommissioning Ikata 1. The formulation of that system prompted the announcement that five of Japan's operable nuclear power reactors would be decommissioned. These included Kansai Electric Power Company's Mihama units 1 and 2; unit 1 of Japan Atomic Power Company's Tsuruga plant, as well as Kyushu Electric Power Company's Genkai 1 and Chugoku Electric Power Company's Shimane 1. In a 28 March statement, Shikoku said that Ikata 1 would officially enter the decommissioning phase on 10 May. Shikoku also announced on 25 March that it had applied to the NRA to carry out final pre-operational safety inspections of Ikata 3, which should clear the way for it to resume commercial operation. The move came two days after the NRA approved Shikoku's 'construction plan' to strengthen the unit. The plan was the second of three applications required during the restart process. According to its application for final safety inspections to ensure the unit meets new safety requirements, Shikoku anticipates restarting the unit in late July. The unit is expected to become the fifth Japanese reactor to resume operation under new safety standards introduced following the March 2011 accident at the Fukushima Daiichi plant.